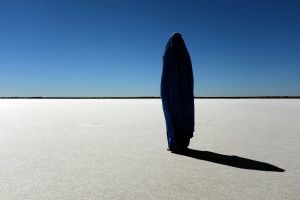 For Westerners, the burqa is a garment pregnant with symbolism. 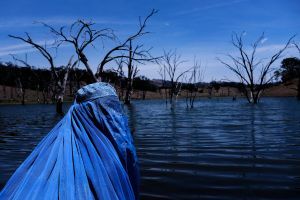 This series, shot in 2014 during a 10,000 kilometre journey in Australia, seeks to take the symbolism beyond the typical connotations of sexism and repression, and into a more metaphorical landscape that raises questions of migration, assimilation and belonging. 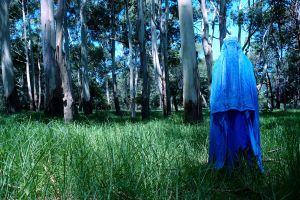 Along the way, the burqa also reveals a luminous, ethereal beauty one might not normally have expected. 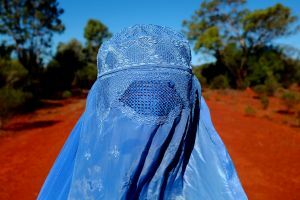 Marrying the burqa with Australia’s severe environment would not seem an obvious choice at first. 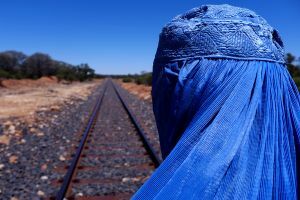 However, it makes sense for those who are aware of the current Australian government’s strict anti-immigration policies and handling of refugees, and indeed the ongoing discussion of a 'burqa ban' in the country. 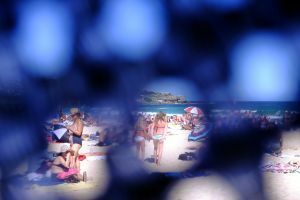 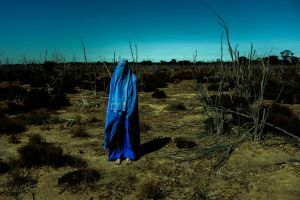 These faceless, ‘anonymous’ people, who come to Australian shores in search of a new beginning, are either turned away as they arrive or thrust into a harsh, suburnt country. 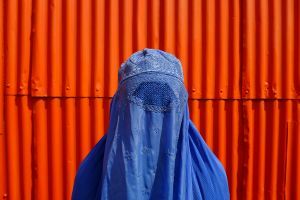 They quickly feel displaced, leading to predictable tensions. 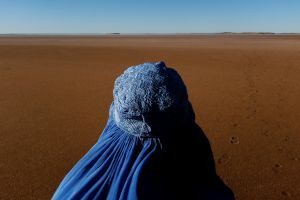 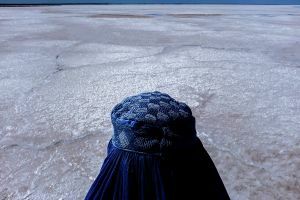 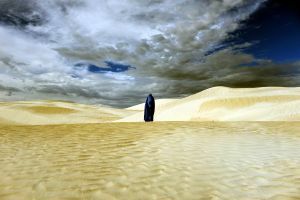 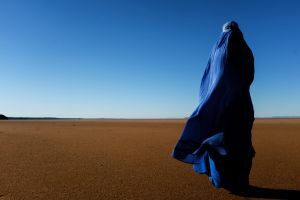 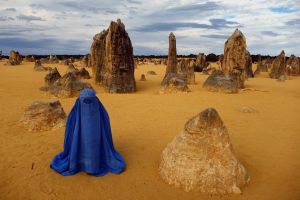 However, despite the sense of isolation in the images, the aesthetic symbiosis between the burqa and the challenging landscapes hints at a potential for the two worlds to co-exist and even complement each other in ways not imagined. 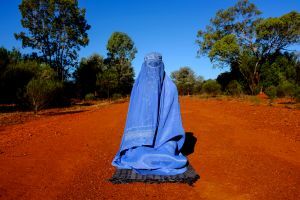 Perhaps Australia and these 'new Australians' are not as mismatched as the government and some members of the public seem to think. 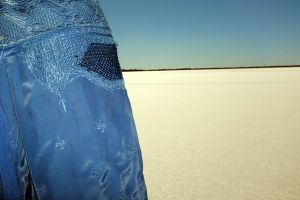 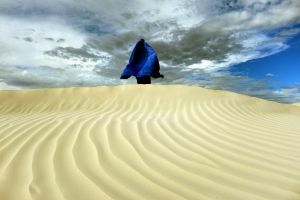 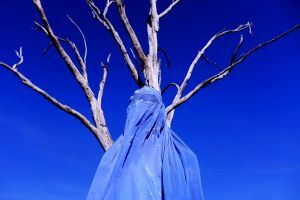 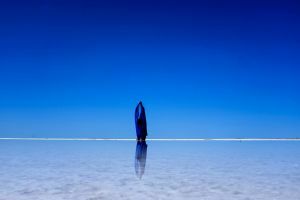 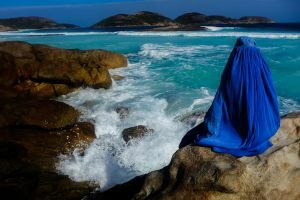 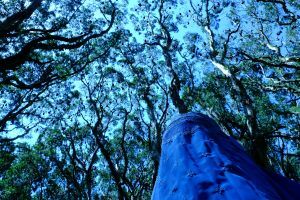 The burqa’s journey in this series – whose title is borrowed from Australia’s best-known poem, ‘My Country’ – surely offers more questions than answers, but ultimately it is intended as a series of hope.